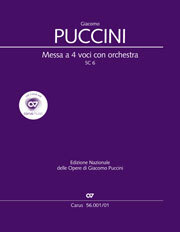 The works of Giacomo Puccini will be presented in a scholarly critical edition. Upon petition to the Italian Ministry of Culture by the “Centro Studi Giacomo Puccini,” the institute responsible for this edition, the project has been recognized as an “Edizione Nazionale.” It receives a significant amount of its support from the Ministry. Giacomo Puccini is one of the most performed composers on the international opera stage. 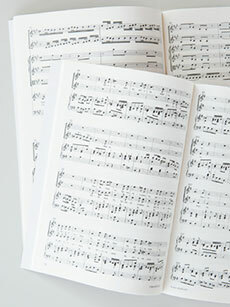 Next to Mozart and Verdi, his operas are among the most popular works in the world. His vocal and instrumental works for church and concert hall, on the other hand, have only recently begun increasingly to find a place in the public consciousness, following decades of being relegated to oblivion. 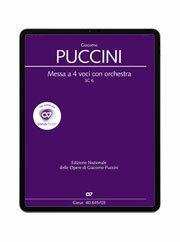 In the course of time the awareness grew that Puccini’s complete works demanded a new evaluation. Increasingly he is no longer considered to be the last representative of an obsolete Italian belcanto, but rather as a musician seeking a new departure at the dawn of modernity. His compositional processes are more akin to the experiments on the borders of tonality pursued by such contemporaries as Debussy, Richard Strauss, Mahler and Schönberg, all of whom he knew and for whose works he showed a lively interest. The prerequisite for a closer examination of such issues and interconnections is a current edition of his works which will be fulfilled with the publication of the scholarly critical edition of his works.